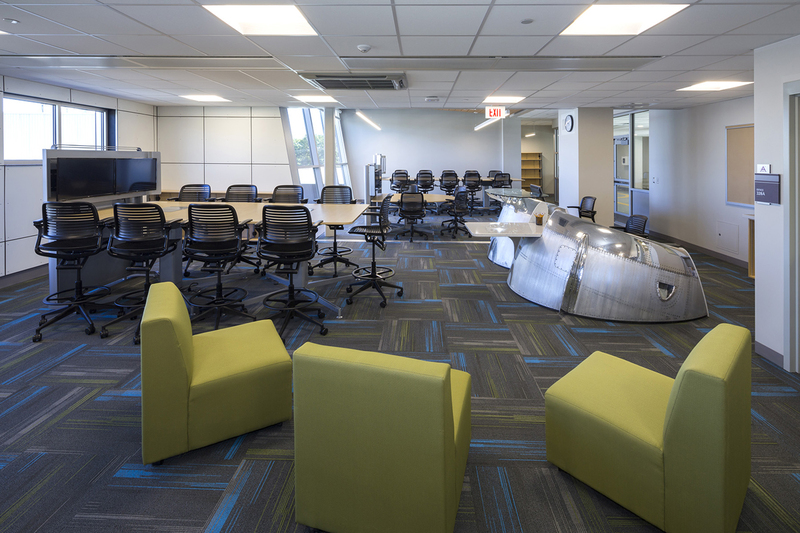 O&G transforms an existing oﬃce building into a state- of-the-art aerospace and engineering magnet school. 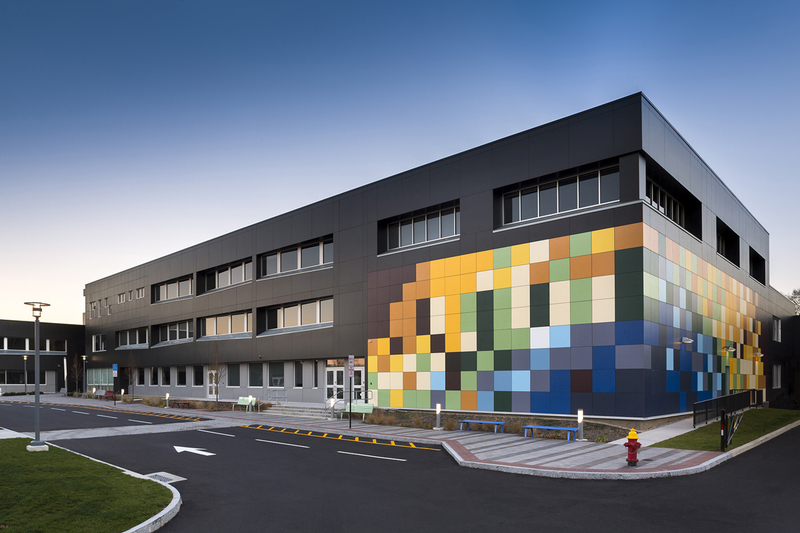 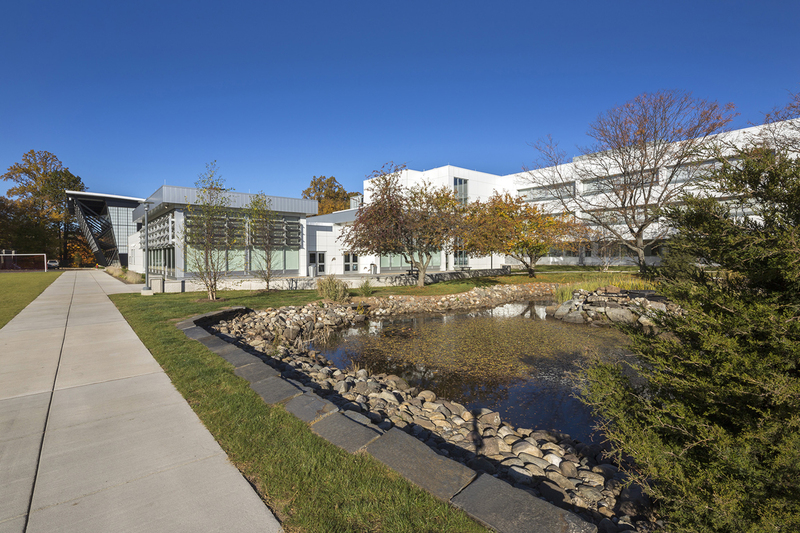 This renovate-as-new project involved the transformation of an existing 165,000 SF oﬃce building into a state-of-the-art school for 735 students in Grades 6 through 12, including the selective demolition of the existing building back to its structure. 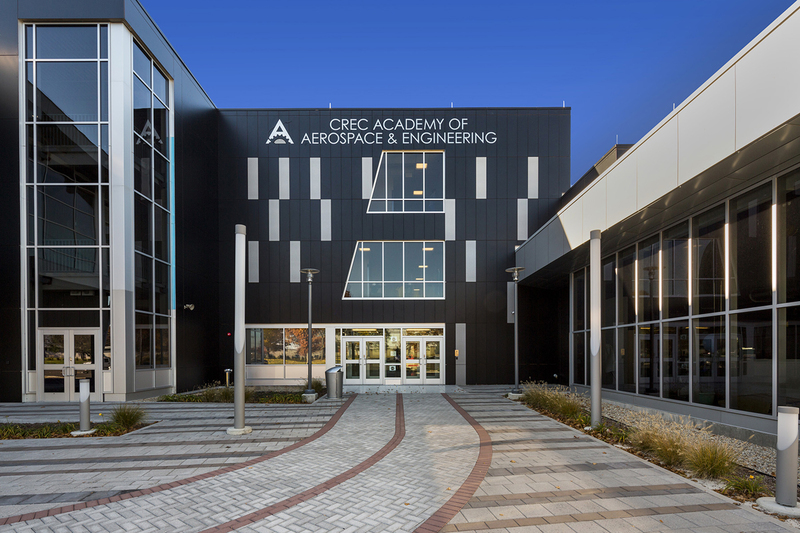 This aerospace and engineering themed Magnet School was created to educate students for careers in those ﬁelds. 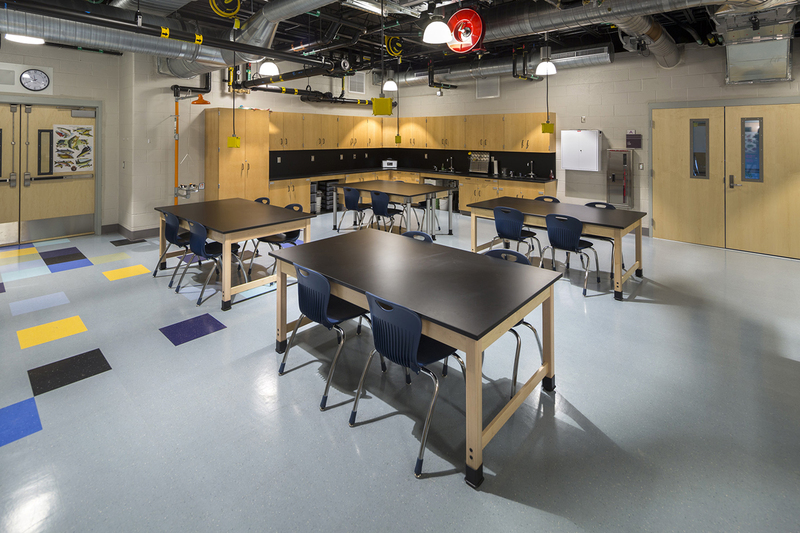 The newly created school is broken into four distinctive areas: high school, middle school, aerospace / engineering and assembly. 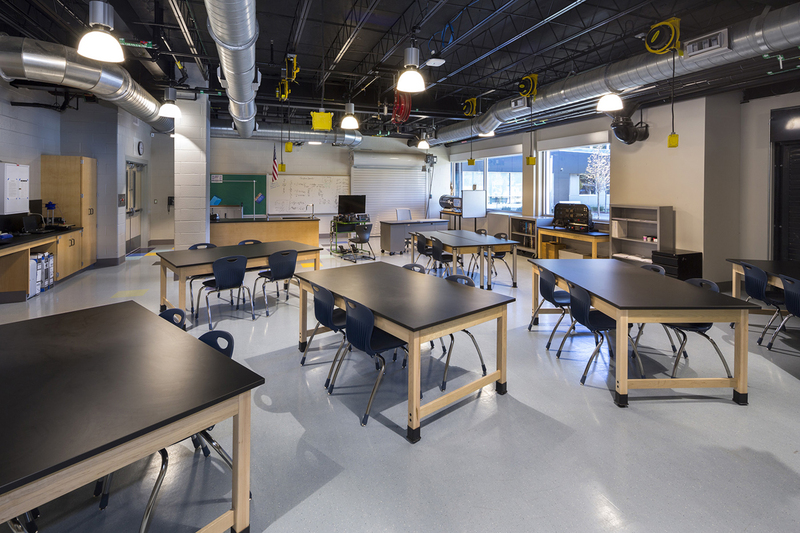 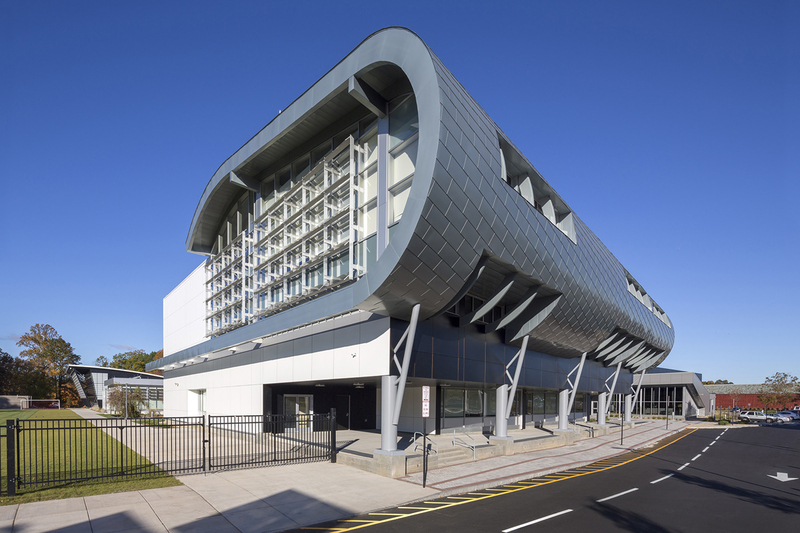 Spaces include a Fabrication Lab, Manufacturing Lab, Aerospace CLAB, Engineering CLAB, Physics CLAB, Environmental Science, Chemistry CLAB, Biology CLAB, storage, independent study spaces, workshops, lecture halls, a cafeteria and a gymnasium. 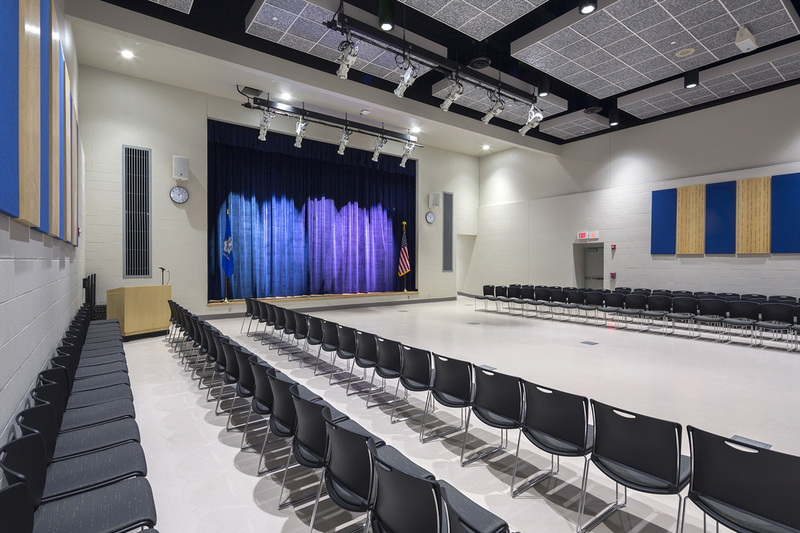 The project was constructed in two phases: Asbestos Abatement and Demolition, and General Building Construction.